He (or she) seems quite at ease and dignified in the photographs of him strutting across our front lawn. I have only the pictures to go by. I was at work during his visit. My son took the pictures. That our imperious visitor was a Cooper’s hawk was plain almost immediately. What made his visit notable was the fact, attested to by the pictures, that he spent his time walking on the lawn. Little American kestrels have occasionally checked out our yard from a branch in one of our trees. But strolling on the lawn is a new sight for us. Hawks are not uncommon in our part of the world. We often see them gliding easily through the air or sitting on utility poles and upper branches of trees. Sometimes, though not at often, we see them slipping in and out among the trunks and branches of a thick patch of woods, disturbed from a roost by an exuberant party of hikers. The high gliders are most often members of the genus Buteo, most frequently represented here abouts by the red-tailed hawk but also sometimes by the red-shouldered hawk or the broad-winged hawk. These are large-ish, robust looking birds, distinguished from each other mostly by their markings which are all but invisible when they are seen as soaring silhouettes a couple hundred feet up against a bright sky. 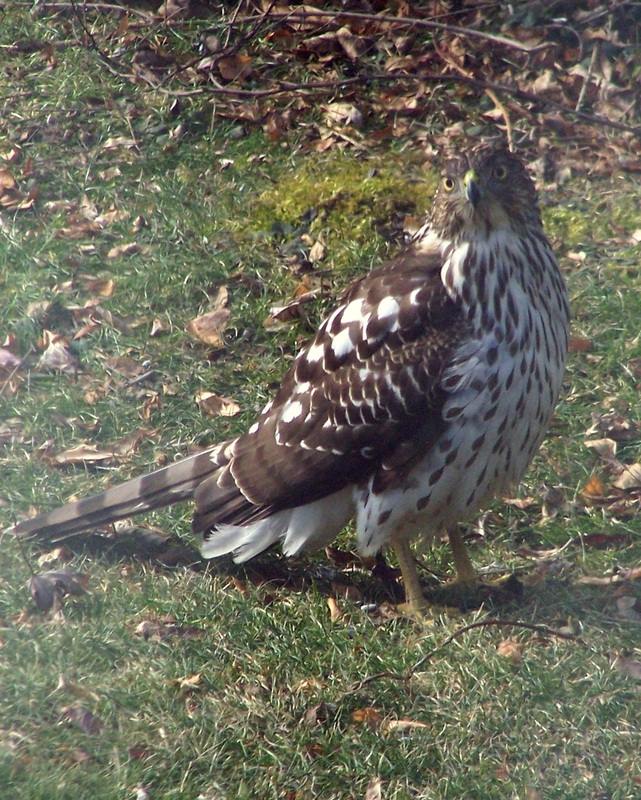 The forest and thicket hunters are more likely to be members of the genus Accipter, represented in central New York — where my front lawn is located — by the visitor I mentioned at the beginning of this post, the Cooper’s hawk. Cooper’s hawks by comparison to the red-tailed hawks seem lighter and lither. They are much less likely to be seen soaring on thermals and much more likely to be encountered as a blur dodging in and out among the trees and bushes of the old deciduous forests that cover hectare after hectare of the northeastern United States. Buteos and accipters will prey on most any small animal they can get their talons on. But accipters focus particularly on birds and arboreal mammals — squirrels. I’ve seen a Cooper’s hawk take a mourning dove in a wooded residential part of Columbus, Ohio. It hit the dove while it was puttering around in the middle of a little-trafficked street. I was walking up the street toward the spot when it happened. I’m not sure the dove ever knew what was happening. The hawk had dispatched the dove then turned to look at me — a bit resentfully or defiantly, I thought. Though, just as likely it was a look of alarm or simple notice-taking. In any case, it tightened its grip on the dove and then flew off into the trees with its supper, leaving a feathery puddle of blood in the middle of that quiet residential street for me to step over as I continued my peaceful evening stroll. wk put down beside our front yard bird feeder, and that choice of location was no accident. 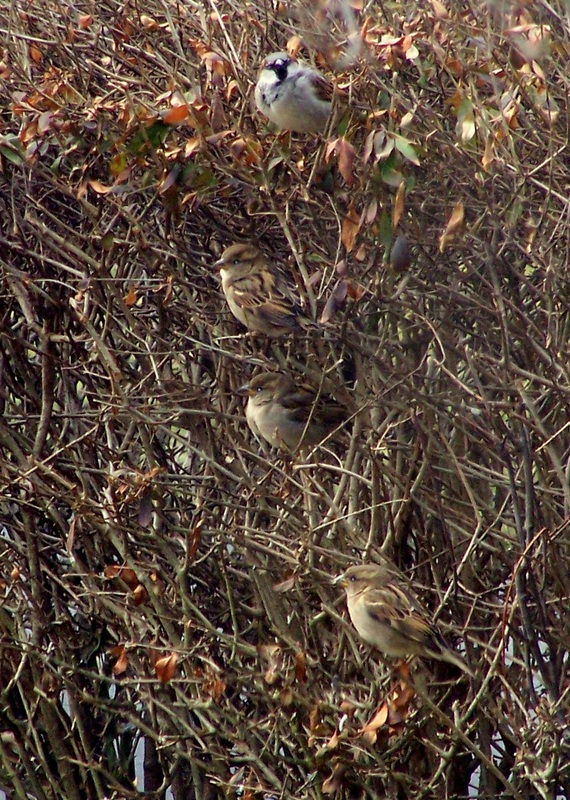 In the winter months, our hedges and shrubs are inhabited by a flock of twenty or thirty noisy, ill-mannered, unappealing house sparrows. They monopolize the feeders, squabble with each other, and fill the air with their decidedly unmelodic chatter. Perhaps I’m a bit prejudiced toward them. 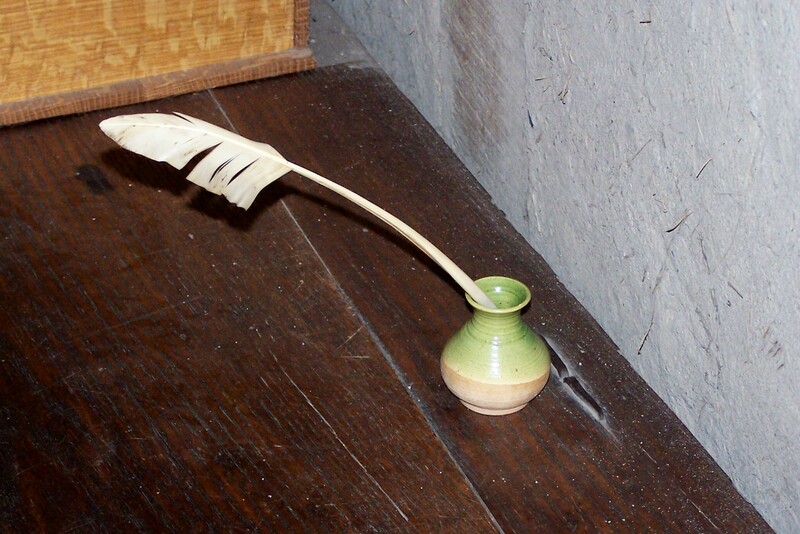 The hawk went away empty-taloned that day. 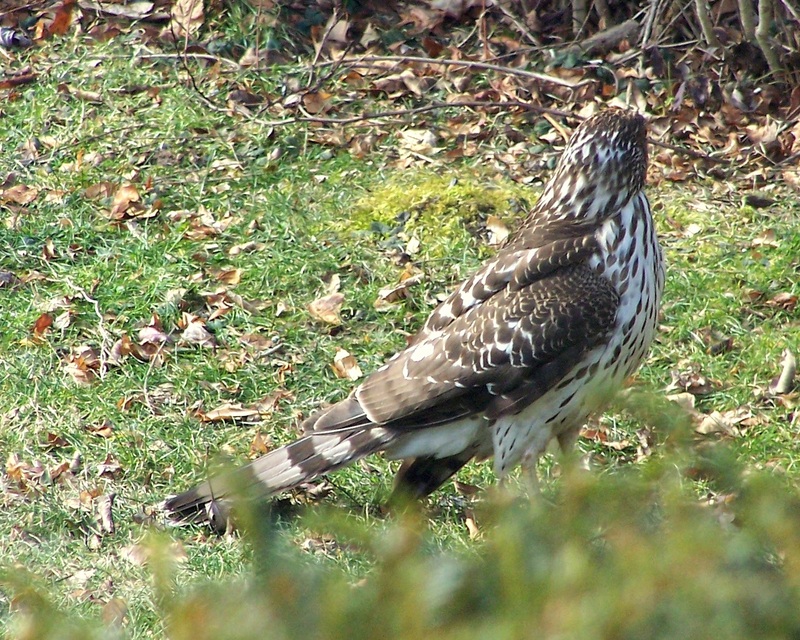 Though, given a choice, I rather see a little more of the hawk and see fewer house sparrows. Of course, I’m not watching all the time. So, the hawk may be a more frequent and more successful visitor to our bird feeder than I realize. And this summer there do seem to be fewer house sparrows around the place than usual, come to think of it.